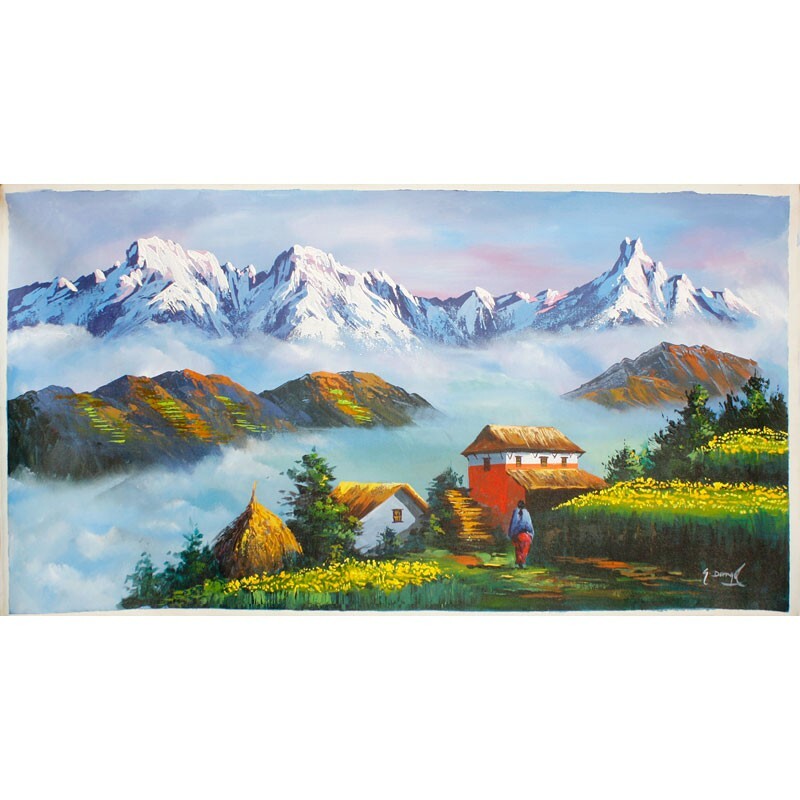 This beautiful mountain painting of Annapurna and Macchapuchre measures 35" of width and 18" of height. 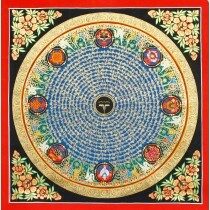 It is painted by an experienced artist using acrylic color on canvas. It is one of the finest among the mountain paintings. Painting can be used for decoration anywhere in office and houses. The Annapurna mountain lies in north central Nepal that includes one peak over 8,000 meters, thirteen peaks over 7,000 meter and sixteen more over 6,000 meter. The surrounding area are protected within the 7,629 square kilometers Annapurna conservation area, the first and largest conservation area in Nepal. The Annapurna conservation area is home to several world class treks, including Annapurna Sanctuary and Annapurna circuit. Macchapuchre, is a mountain in the Annapurna Himalayas of north central Nepal. It is revered by the local population as particularly sacred to the god Shiva, and hence is off limits to climbing.